I wanted to share with you all how I blow-dry my hair straight thanks to Fromm Beauty and their amazing products they let me try out! By no means am I even close to a professional but this is what works for me! I start out by rough drying my hair just using my fingers to comb through the hair. I am using the 1907 by Fromm blowdryer on the highest heat and power trying to get the hair to almost dry all the way through. Then I section my hair into two parts. I turn the blowdryer to low power and use my 2.5 " Copper Core Thermal Round brush to style the bottom half of my hair. I am taking about 2 " sections with this. Next I let the top section of hair down and use my Medium Square Thermal brush (which I am obsessed with) to style the top of my head. I take a little smaller sections than I did on the bottom and try to get the hair as straight as possible. I finish off my look by applying oil to smooth out any frizz! That's really it! Super easy, but it works so well thanks to the blowdryer and brushes. I truly loved using them. 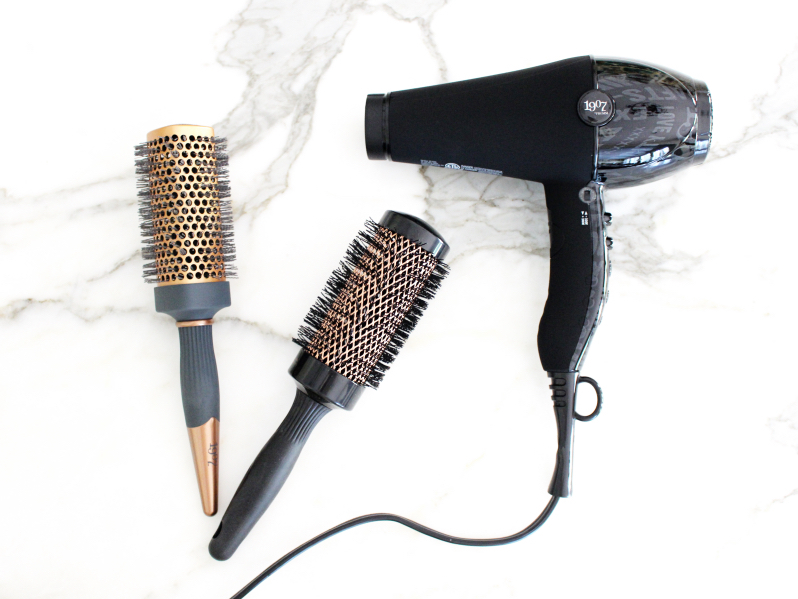 These brushes are heat resistant which is extremely important (because who wants melted plastic on their head) and the blowdryer has great variety in the power and heat setting. My hair felt silky and smooth. Thanks for letting try out your products Fromm! And a special thanks to Kara for contacting me! You have this girl as a fan.